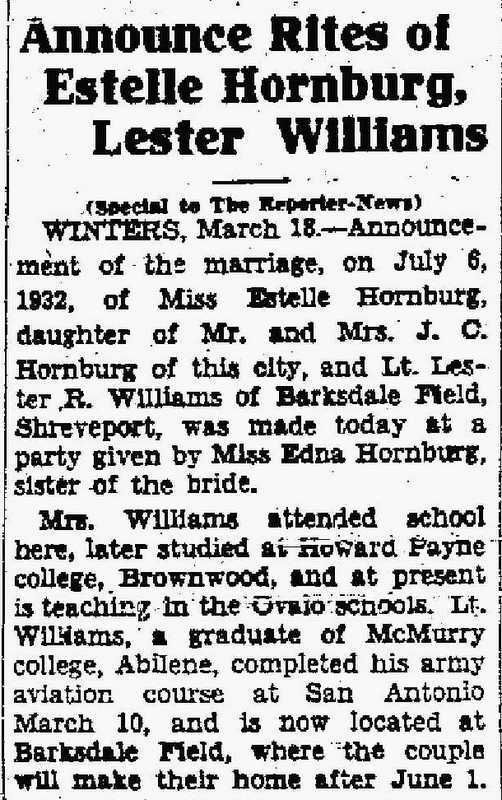 Estelle Hornburg Williams, daughter of John Theodore Hornburg and Ida Myrtle McRorey, married to Lester Ray Williams. Guion School District Teacher (1929-1930). Ovalo School District Teacher (1930-1933).